The book, the gear wheel and the wheat ears are an allegory of the alliance, deemed unquestionable, noble and endless by default, that ought to have existed between the stratum of intelectuals and the two social classes: workers and peasants. On the 1987 patterns (presented on the previous page) the smoke flue is working heavily. During the communist period the smoke presence signaled the existence of advanced productive activity, of industrialization and in conclusion of civilized life. 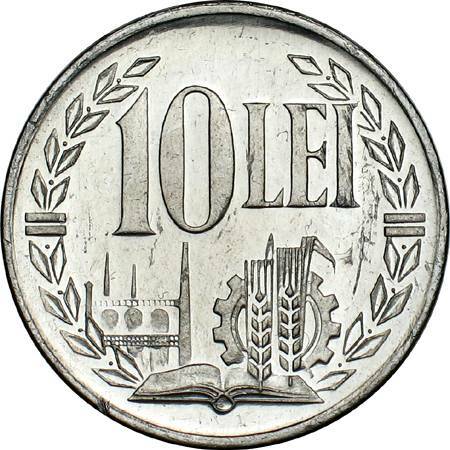 The smoke flues and the smoke taken away appear on coins circulating in the period: 20 lei 1951, 50 bani 1955 and 1956, 3 lei 1963 and 3 lei 1966. The symbol of the Technical Publishing House, a serious and important institution that printed important volumes of various kinds, was in an era not so far back a group of three smoking flues. Shortly after the regime shift in 1989 the logo changed. The three flues stood as they were but the smoke disappeared entirely, as result, maybe, of powerful filters being employed or, case related, to total cease of activity that struck so many industrial plants lately. 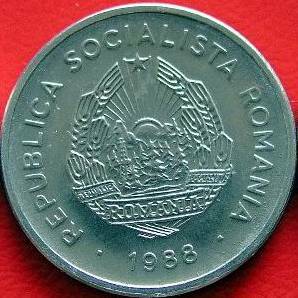 As we can see, the tendency to turn the smoke from a symbol of civilized life into a token of pollution dates back from the end of the communist era. 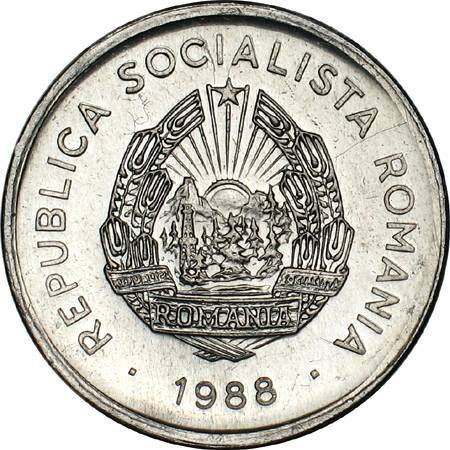 The nickel pattern pictures above are present on Romanian coins through the kind permission of Mr. Florin L.
The aluminum pattern pictures above are present on Romanian coins through the kind permission of an anonymous donor. 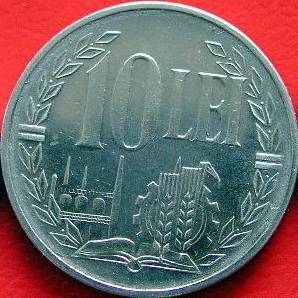 The copper pattern pictures above are present on Romanian coins through the kind permission of Mr. J. Ardelean.